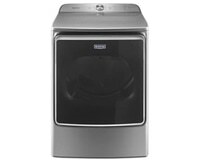 We monitor prices for you and email you letting you know when the best time to buy is. 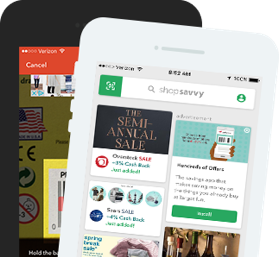 I'd also like to recieve exclusive discounts and news from ShopSavvy by email. When is the best time to buy a new camera? Camera manufacturers generally announce new cameras no more than twice a year. 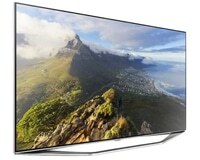 The majority are announced during the Consumer Electronics Show, which occurs annually every January. These cameras make their way to retail and online shops by the spring, which in turn makes early spring a great time to find deals on previous generation cameras. The second best time of year to buy a camera is during the holidays. Camera deals don't dominate the holiday season like TVs or laptops, but you'll easily find good deals during the weeks leading up to Christmas. Can you find camera deals anytime of the year? With a little patience, it's possible to find good camera deals year-round. If you're shopping out of season, we recommend you look at camera specialty stores like B&H; Photo Video and Adorama. Amazon and Best Buy also have reliable camera deals year round, but whatever store you choose you'll want to price compare to make sure you're getting the best price available. With its large sensor, sharp lens, excellent viewfinder and well thought out controls, shooting with the X100T is almost as rewarding as the resulting images. Though not much has changed since this camera's first and second incarnations, the X100T represents the most refined version to date and does well to build upon the strength of its predecessors. It's our 2017 Top Ten Reviews Gold Winner. As far as pocketable cameras go, nothing can beat the Sony RX100 III. It affords excellent image quality, a quick focus, and a convenient pop-up viewfinder. For its size, the RX100's sensor is also enormous, which means you'll be able to capture images with sharper details, wider dynamic range, and less grain at high ISO settings. All that makes it our Top Ten Reviews Silver Award winner. The ZS50 isn't the perfect camera. It has relatively good image quality, but it doesn't have the largest resolution and it's a little bulkier than other point and shoots we tested. But those who want a versatile camera for capturing and sharing memories don't always require the utmost in image quality or a camera the size of a pea. What they need is a lens that can capture a wide range of images and reliable Wi-Fi for connecting to a smartphone or tablet. The ZS50 does that exceedingly well and represents a solid do-it-all option for the average shooter. While we consider the Canon PowerShot SX720 HS to be one of the best point and shoot cameras you can buy, it's on the larger side when compared to pocket-sized competitors. 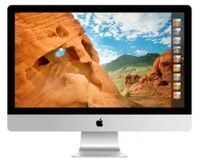 However, it remains an excellent option, boasting great image quality, a long zoom range, and decent physical controls. For beating its competitors in those categories, we've given it our Top Ten Reviews Silver Award. With all the sales from every store. There's a lot to be said about a camera like Nikon's D5500. In many ways, it’s the culmination of all advances in the entry-level DSLR category. It offers one of the most advanced APS-C sensors we've seen, as well as excellent performance, design and additional features. With the D5500, there are no major drawbacks; it's simply the best entry-level DSLR camera currently available. For this reason, the D5500 could be nothing less than our Top Ten Reviews Gold Award winner. 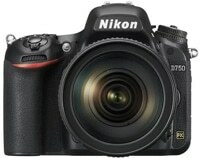 Although it looks much the same as its peers, the D5300 sets itself apart as one of Nikon's top entry-level DSLR cameras. With high-quality components and design, it manages to incorporate excellent image quality, advanced features, and impressive video capture within a light DSLR body. Simply put, it outperforms almost every entry-level DSLR that we reviewed in the categories of dynamic range, low-light performance, and color depth. 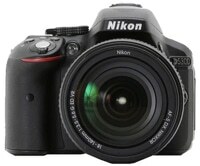 For this reason, the Nikon D5300 is our Top Ten Reviews Silver Award winner. The Nikon D750 is a professional DSLR that strikes an impressive balance between image quality, performance, design and features. It boasts top-of-the-line scores for color depth, dynamic range and low-light performance, and it features built-in Wi-Fi, as well as an articulating LCD. That's more than can be said about most professional DSLRs, yet surprisingly, the D750 is still relatively affordable. 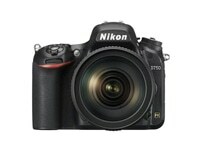 For this reason, the Nikon D750 wins our Top Ten Reviews Gold Award. 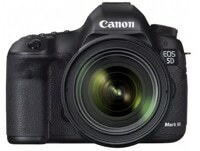 The Canon 5D Mark III is an excellent choice for those already invested in the Canon ecosystem. 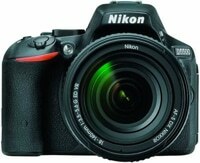 It's regarded as the go-to DSLR camera for field shooting. It's ergonomic, quick, and comfortable to shoot with; plus it's compatible with Canon's many full-frame lenses. It offers solid autofocus and good image quality, though it lags behind the competition in some respects. How does price monitoring workWe monitor prices on millions of products daily to determine when prices are likely to drop. This price forecast is based on historical price ranges and does not guarantee future results. What are the best months to buy a digital camera?